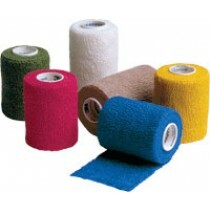 Elastic tape has several different uses and can be utilized in a wide variety of ways. From self-adhering to micro foam, retention and more, there are both latex and latex-free options available that can help you make the right decision for your needs. 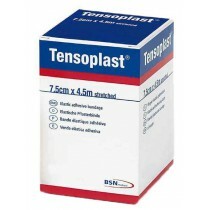 Several sizes are also available, allowing for larger or more wound coverage with better staying power if needed. For a little added style, different colors are also available. 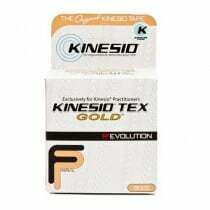 Listed below are a few available items that you can choose from, so you can get the right tape that fits your style or need. Color/Patterned Tape Many current lines of tape have deviated from the standard medical facility colors of brown/tan and white. Today's tapes and wraps are now available in different colors, providing a stylistic choice you weren't able to have before. 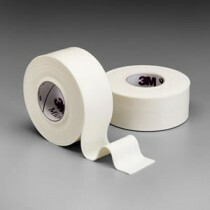 3M, a popular brand that sells many styles of non-adhesive tape, sells several pieces of elastic tape that come in a variety of colors, shapes, or both. 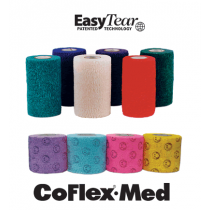 The Coban Self Adherent Wrap is available in five different colors, while the Andover Coflex Tape Bandage is available in different colors but also includes fun prints. 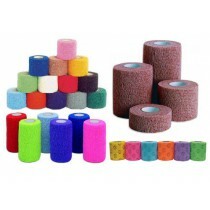 These are just a few elastic bandages you'll find available through vitalitymedical.com. Different Lengths/Widths: The type of injury being covered could determine how much tape is needed to tightly secure the initial bandage. 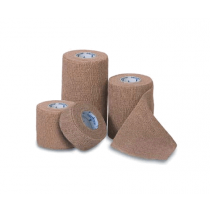 Since it's uncommon to use an entire 10 foot roll of tape for a minor abrasion, several companies have turned to lesser lengths or smaller widths in order to give the user the right bandage coverage. Elastic tapes today can be as wide as an inch (or less) and go up to six inches. 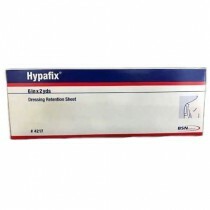 Andover's COFLEX Med Hand Tear Sterile offers coverage up to six inches wide in order to secure a large bandage in place. 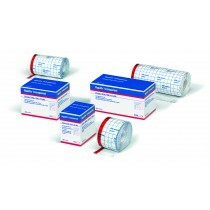 Self-adherent tapes are also available in one-inch widths; all of which you'll find on this page. 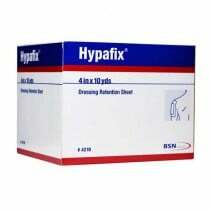 Latex/Latex Free: Some patients have an allergy to latex that will negatively effect their skin, which could lead to an adverse reaction with the wound as well. 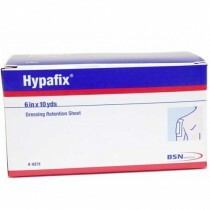 As a result, both latex and latex free options are available so that you can heal properly without having to worry about a reaction. 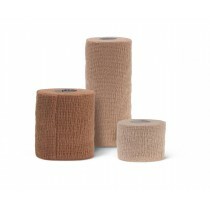 Andover's COFLEX NL Bandage Wrap Latex Free doesn't contain any latex so there's no need to worry about a reaction as you wrap a bandage. 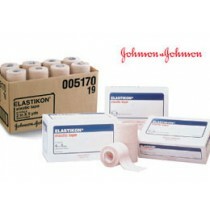 Johnson and Johnson's ELASTIKON Bandage Tape does contain latex but is still able to cover the wound area as needed. The difference between latex and non-latex is completely up to the patient but won't change the way the bandage wrap is being used. 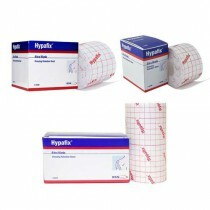 Choosing the right tape for your needs can depend on a lot of factors. 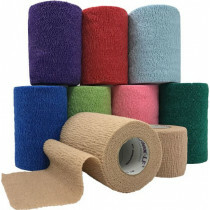 Whether you pick for choice or add a little style, there's the right kind of elastic tape bandage coverage for you.